Enter To Win Tickets To See Either Movie For Free! Halloween is getting closer and closer as we round out October, and we have another opportunity for you to win a pair of tickets to see this week’s movies at the Logan Theatre. The theatre will be screening The Shining and Halloween (1978) as part of their Horror Movie Madness series October 26th-31st. One winner will get the chance to see either movie of their choosing on Tuesday, October 30th. 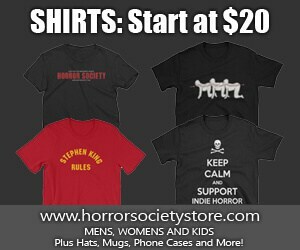 All you have to do is email me at winloganhorror@gmail.com with “Halloween and Shining Contest” as your subject line. Be sure to include your name as it appears on your ID (you’ll need your ID to get your tickets from will call), if you’re bringing a plus one, and the film you want to see. One winner will be notified via email when the contest closes on Monday, the 29th. Furthermore, mark your calendars for Sunday, October 28th, as I will be at both the screenings of The Shining and Halloween at the Logan to give away some spooky free Halloween goodies as well as screen a nostalgic trailer reel prior to the film’s start. Horror Society and some special guests, including a DJ set from Bucket O Blood Books and Records, will be in the Lounge starting at 7pm! Be sure to check out the Logan Theater’s website here for more information on each of the films screening during their Horror Movie Madness series.